The E! reality star made a rare return to his Snapchat account on Monday to share a video of the Love & Hip Hop castmember hanging out in what appears to be Kris Jenner‘s Calabasas, Calif. kitchen. In the clip, Alexis, who is dressed casually in black yoga pants, blue socks and a printed blouse, sips a drink and blows a kiss to the camera as a heart filter adorns her face. Meanwhile, Alexis called Rob her “bae” on her own Instagram Stories and said she was making him dinner. “We have chicken breast,” the social media personality told her 2.5 million followers in one video, adding, “Almost ready!” alongside another video of hot wings and macaroni and cheese. The duo’s cozy date night comes on the heels of an apparent feud sparking between Alexis and Rob’s ex, Blac Chyna. Reports indicate that over the weekend, Chyna and Alexis got into a heated altercation while they were at a private party in Los Angeles. 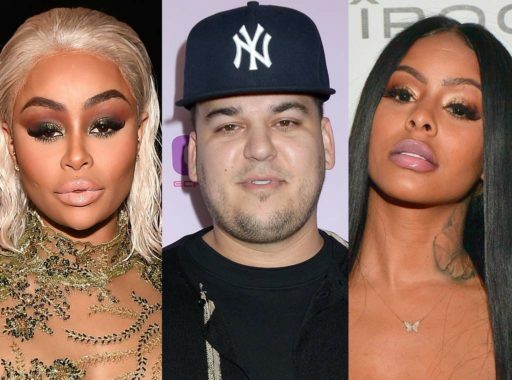 In screenshots obtained by TMZ, the Love & Hip Hop star alleged thatChyna threw a drink at her while they were chatting, thus sparking chaos at the celebration. Chyna has yet to address Rob and Alexis’ apparent chemistry, so it looks as if we’ll just have to continue keeping up!